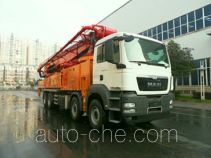 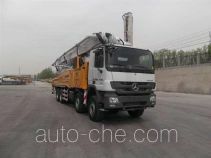 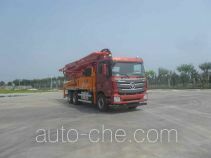 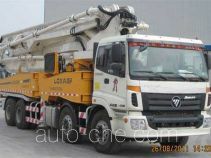 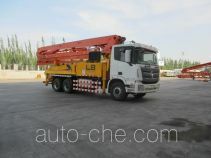 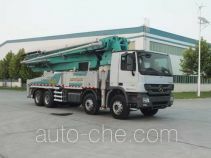 Foton concrete pump truck BJ5339THB-XC (batch #291) based on BJ5339THB-XB chassis is made in China by Beiqi Foton Motor Co., Ltd. 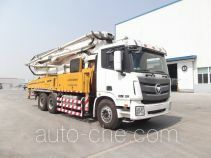 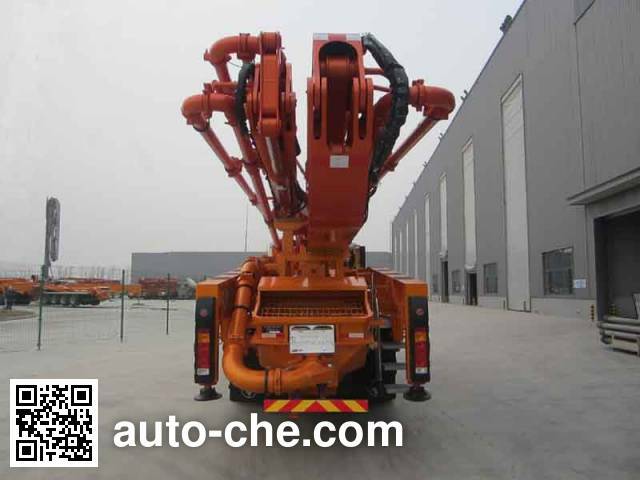 The company is located in Beijing, in Beijing Municipality, China. 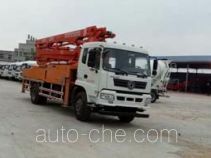 1 ISGe4-380 11 800 cc 11.8 L 720 cu in 279 kW 379 hp Beijing Foton Cummins Engine Co., Ltd.
2 ISGe4-430 11 800 cc 11.8 L 720 cu in 316 kW 430 hp Beijing Foton Cummins Engine Co., Ltd.
3 ISGe4-460 11 800 cc 11.8 L 720 cu in 331 kW 450 hp Beijing Foton Cummins Engine Co., Ltd.
Net engine power of 278kw, the car for the special job class vehicles for transporting concrete, the main fixtures of concrete pumps and folding boom, etc., allowing the appearance of the color change, the car long stretch 12,000 1100; after long car 12640 extending to 1740; the material is Q235B side guard and aluminum alloy 6063-T5, bolted connections. 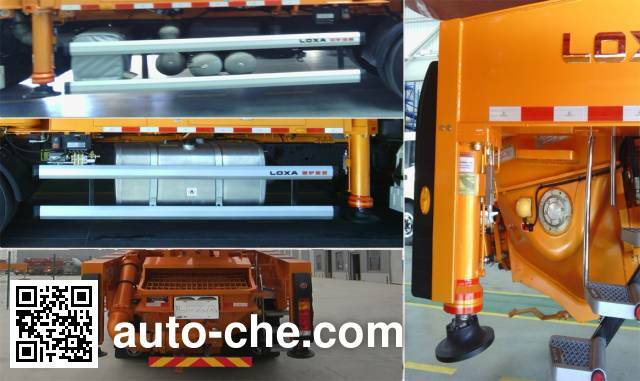 After the hopper and the rear body part instead of leg guards, ground clearance of 500. 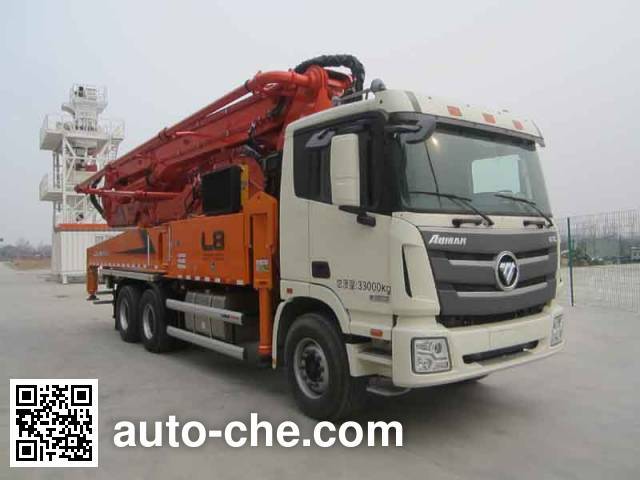 ABS model Dongfeng Electronic Technology Co., Ltd. production of ABS / ASR-24V-4S / 4M, or WABCO Vehicle Control Systems Limited production 44600XXXX0.